Ava Water Filter is committed to providing customers across the USA and beyond with clean water at all times. This filtration system uses reverse-osmosis in order to give customers the clean water that they both need and deserve. Ava Water Filter is based out of Los Angeles, California and is owned and operated by a microbiologist. Each component used in the Ava Water Filter is hand-picked by the owner of the company after he determines that it has in fact met his high standards and specific industry criteria. Most water purification companies cannot boast that they have a top industry expert as their leader, and this advantage allows them to offer superior products and services that truly provide bacteria-free water that is both clean and healthy. 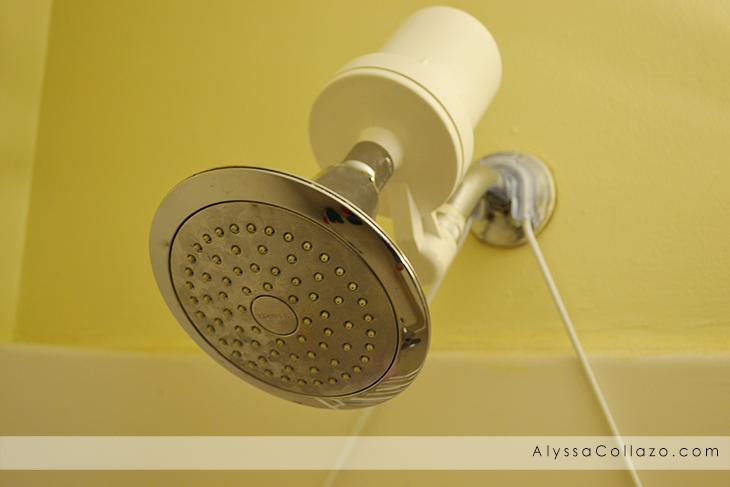 The Ava Shower Filter installs easily into the Shower Pipe. Filters 99.9% of Chlorine, Chloramine, Arsenic, Lead, Fluoride, Dirt, Odors, Bacteria and many chemicals. Lasts long for 9 to 12 months (individual water conditions may vary). Produces high flow of water. Effectively reduces water hardness. Promotes healthy shin, nails and hair. Made in USA. Balances water pH. All parts are made with NSF & FDA high performance approved parts. One of the most important things for me is trying to avoid putting the wrong type of chemicals in or on my families bodies, especially my daughters. After installing the Ava Shower Filter I felt great knowing I am making a healthier choice for my family. There are so many chemicals that are found in everyday tap water that I prefer not to be exposed to. Right away I felt a difference in not only my skin but my daughters. I usually rush them out the shower/bath because the water can be so harsh on their skin. Now they are taking longer showers and have soft skin without lotion! Even their hair is softer! And the water doesn't have that Chlorine smell, you really can't go wrong with the Ava Shower Filter. 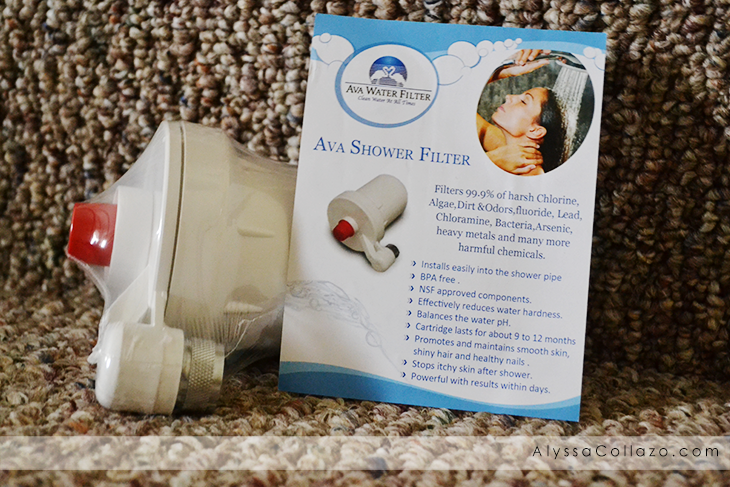 For more information on the Ava Shower Filter please visit their Facebook or Website. Omg I bet the water softener thingie makes your skin feel SO much better. I can always notice a huge difference in my skin when I use hard water as opposed to soft. I am not sure if my last comment went through, but this is an awesome shower filter. 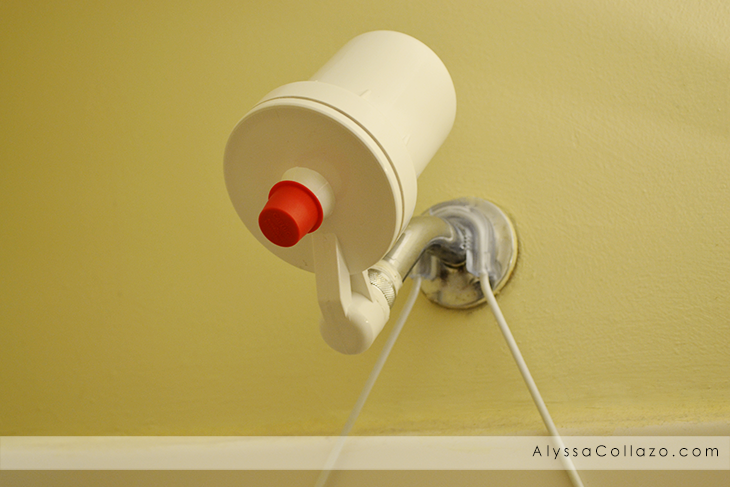 I would love to replace the shower filters in both of my bathrooms. That's so great! We have filters for our drinking water, why not our shower? Our skin absorbs all of the same things that we filter out of our water. I'd love to get this for the family. We have terrible water in our neighborhood, and this would really help our skin! Wow this is neat! I haven't ever heard of this before. Sounds like a really great product! Hope it cross over to Canada! I use a filter on my shower as well. Our water smells like clorox and I can't stand to drink it and I certainly don't want it on my body. This sounds really great. I've never used a shower filter before but I wouldn't mind giving it a shot. Investing in a quality shower is great for the entire family. We also bathe in water that does not have chlorine smell because we have another machine that's from Japan. This is such a cool idea! I bet a filtered shower would be so amazing for the skin! Oh, I am dreaming about having a good quality shower. I'd love to bath in clean pure water! Great idea! This shower is very cute, I like the design very neat and looks like easy to use. It looks so easy to use! We have a water filter on our main line in our home because of how many minerals are in our water. I would love this because it looks so simple. We have hard water, and I think this would really make a difference. Boy, do I need this! I've never seen a filter specifically for the shower before, but we have well water and it is full of iron and sulfur. This looks so cool and I've never seen a filter for just your shower. I love that it gets all of the chemicals out and now definitely want one for our house. That is something I am lacking and would be interested in doing sometime soon. We don't have filter in our shower head. Thanks for sharing this. Ooh, I need a new shower filter and this one looks so amazing. I need to go get me one. I've been looking into investing into a shower filter for a while. This one looks amazing and simple to install/use, I'll have to look more into it. I have really sensitive skin so I have to be mindful about this type of stuff. I remember taking a shower somewhere and when I was done, I had a rash. I hate the smell of our water and really don't like showering in it. Recently my husband and I have been thinking about getting a filter. Thank you for sharing this. Looks so weird, but I am all about having clean water all over my body too, not just to drink. I like this. I have never thought about putting a filter in my shower. Thank you for sharing this important information! This is something i need to try. I used to have a water filter for the house before i moved. The water here makes my skin to dry. This would be great for my cottage. The water has so much chlorine it dries your skin out. I have a water filtration system for my house. So interesting! I never thought about the shower water. Will definitely have to look into this. Thanks. I'd love a new shower filter. This one looks like a good one to try! I’m using berkey product for Water Filtration, and I can say that it’s effective.